You'll need to go to Settings, and then click Settings & Preferences. Under the Account tab, you'll be able to see Change Password. Enter your old password, and then enter your new password. Make sure you choose a strong password. Once you've entered your new password for a second time to confirm it, click on Update password. Your new password is set, and you're ready to roll! If you forgot your password and can't login to your account, click on the 'Forgot password' link on the login page. 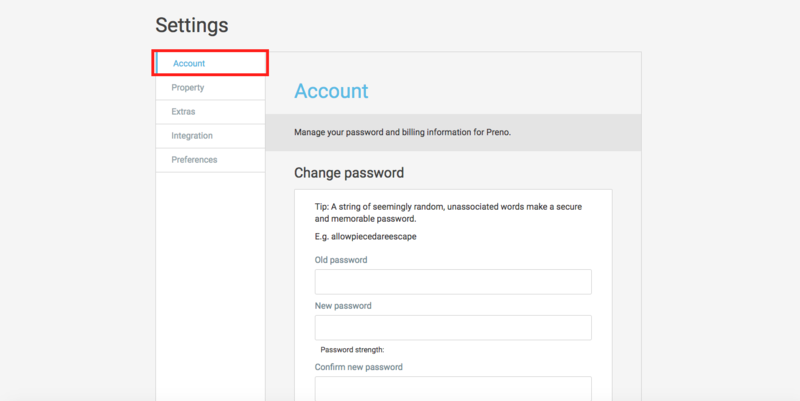 Enter your username and Preno will send a reset password link to your email.